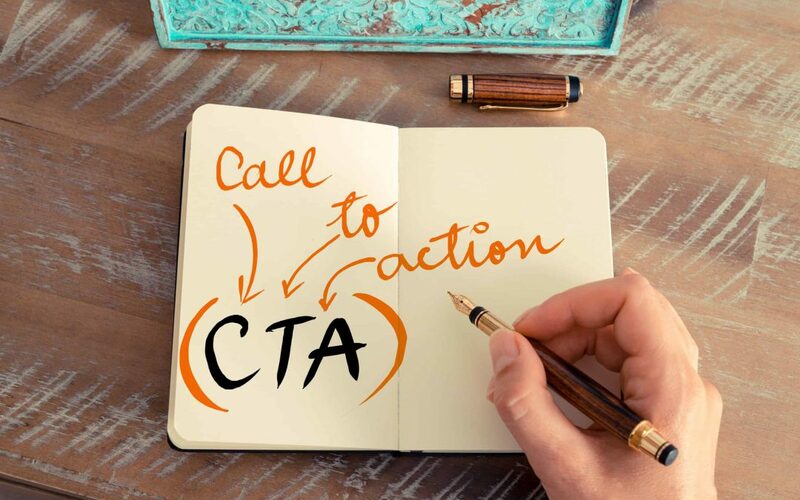 What do you imagine when you picture the perfect call to action (CTA)? A lot of marketers immediately associate CTAs with landing page buttons and making their colors as appealing and clickable as possible. It’s important to remember, however, that those aren’t the only places where a call to action is necessary. You need to get people to your landing page in the first place, and that requires a strong and enticing message ad copy. To get to your landing page, people have to click on your paid search ad copies, and nothing makes people click on an ad faster than a smart call to action. While every business is unique in some way, there are certain universal tips that can help all businesses with their paid search ads. Here’s how to write the perfect call to action for your paid search ads. When people search online, they probably have a particular goal driving their actions. These goals can range quite a bit. Therefore, you want your call to action to be the logical next step for your ideal customer to accomplish their target. In order to have your CTA fit what your customer is looking for, you have to consider what kind of goal they have, and most importantly, you need to consider its urgency. Let’s assume someone is searching for free online test preparation. Perhaps they’re a parent trying to help their child without spending too much money, or perhaps a broke student is looking for help on their own. Regardless of the scenario, using words in your paid search ads like “free” and “online” tend to suggest that the searcher doesn’t want to take that much of a risk. While it may seem counterintuitive to appeal to people not looking to spend any money or patronize a physical location, it can be helpful as an introductory point. People who find themselves pleased with a free trial, for example, tend to be more willing to pay for full services. At the next level, you’ll find people who are effectively conducting research. These people won’t be searching for items or services that are free, but rather searching for ones that are the best. By writing a call to action that makes their research easier, perhaps directing to several products, you’re more likely to get clicks that lead to a purchase. People with immediate needs who are typically ready to buy conduct urgent searches. Your call to action will need to reflect this urgency. Use language that emphasizes your quick response or your extensive availability. Additionally, you need to make sure any paid search ads targeting urgent searches are mobile-friendly. Even when people are at home, they often use their phones for urgent searches. Searches are sometimes conducted in order to channel a specific feeling whether it be fear, compassion, excitement, or really anything else. This contrasts with goal-oriented searches in that they aren’t necessarily motivated by urgency or efficiency. Price may not even be a factor in some of these searches. Instead, you need to focus on their emotional state in order to write a call to action that will have them feeling like they need to click. When people interact with a business, they don’t really want it to feel like they’re interacting with a business. Businesses can seem cold and emotionless from the perspective of potential consumers. That’s why it’s essential you cultivate a feeling of connection, comfort, and safety with your call to action. Personalize your ad and shy away from talking about low prices or volume discounts. Instead, focus on creating intimacy and communicate that you share their feelings. Additionally, it’s helpful to reference actual customers of yours in the past to assure visitors your business is safe. A lot goes into writing the perfect call to action for paid search ads, and many small-business owners won’t have the time to dedicate the focused effort their ads need. If you want to concentrate your time and efforts on your business, you can always hire professionals to take care of your paid search ads. Symphonic Digital is happy to help. Contact us today to learn more about how we can augment your digital marketing campaign.